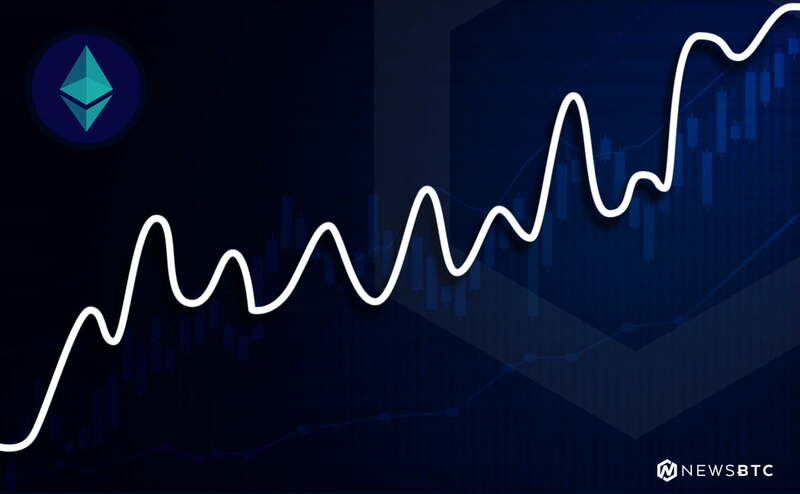 The crypto market is back in loss making territory and as Tron (TRX) and EOS lead the loss with a cumulative drawn down of eight percent in the last day, Bitcoin dominance is up three percent to 48 percent. 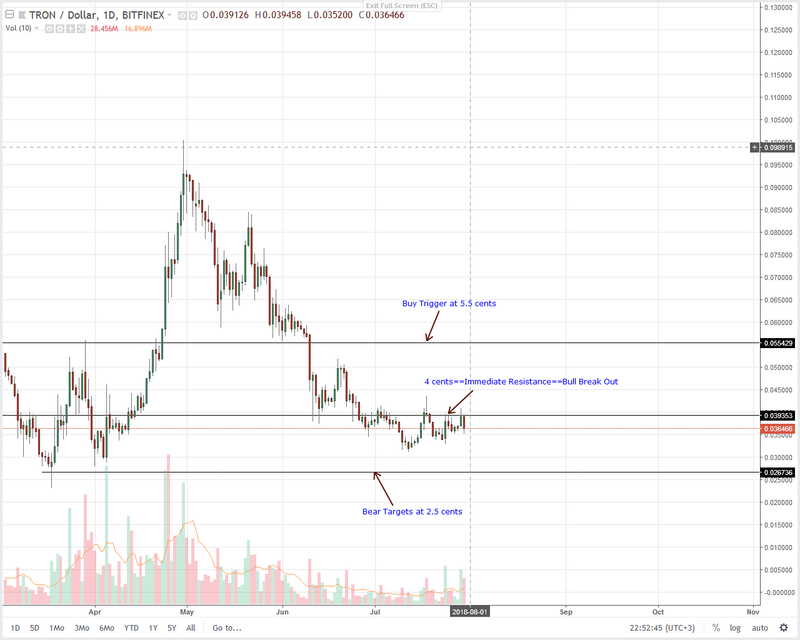 Both ways, judging from the chart, it seems like it is a disappointment for Tron (TRX) investors. As such, it’s highly likely that sellers shall set in and drive prices down. Eva, a new ride sharing app that plans to compete with Uber and Lyft, will launch on EOS. 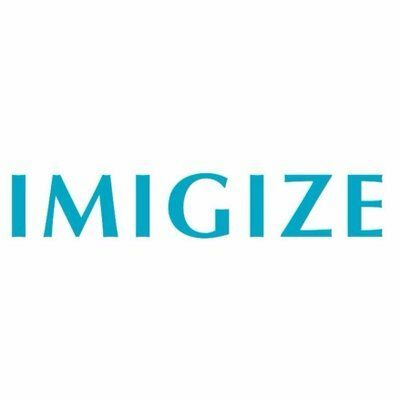 Critics doubtful of the viability of the project and if at all it needs to be decentralized. 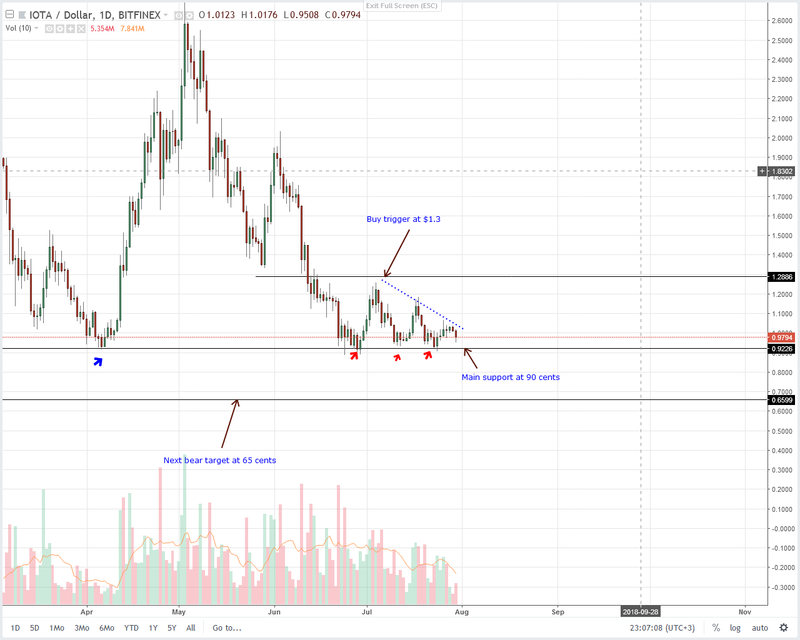 As laid out before, EOS is technically trading within a bear break out pattern and if we take a step back then we realize that $9 is not only a buy trigger but previous support now resistance. Anchoring this view is June 22 bear candlestick breaking below $9 and triggering sell pressure. In my view, July 30, July 9 and June 22 candlesticks are pointers of trend. Therefore, the best approach is to wait for close below $7, our sell trigger line and sell with every pull back with general targets at $4. It’s easy to see why: All referred sell candlesticks have remarkably high volumes. Besides, they have a wide trading range cancelling bullish attempts. 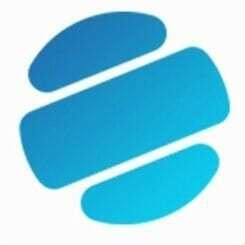 HTC Exodus is the first smart phone that will be specifically designed to run dApps while retaining high level security. Litecoin co-founder Charlie Lee will be HTC’s lead consultant on the project set to launch in autumn. According to Charlie, the phone will support LTC and LN. However, solid plans are there to integrate BTC and Ethereum. 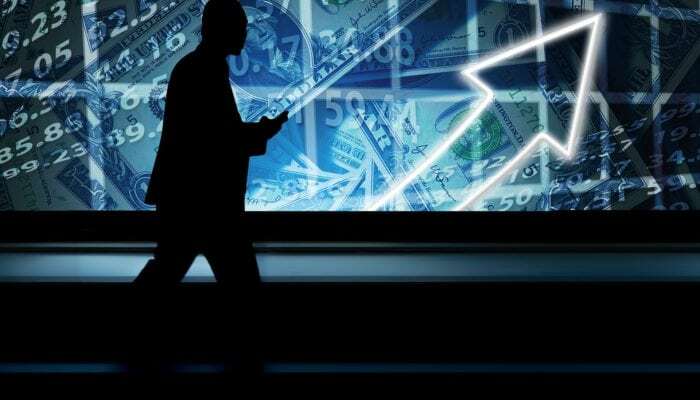 Like any project mass adoption is good news and once LTC becomes mainstream, its valuation shall sky rocket. In the meantime though, Litecoin (LTC) buyers are having a hard time taming sellers. It’s down four percent in the last day but sellers are yet to close convincingly below $80. If that happens today, then risk off traders can begin loading with stops at $80 with first targets at $70 and later $50. On the other side of the coin, conservatives are on the sidelines waiting for break outs. Any breach above $90 cancels this bear break out set in motion by June 10 sellers. Meanwhile, collapse below $70 confirms the bear break out pattern and would signal bears to jump in. 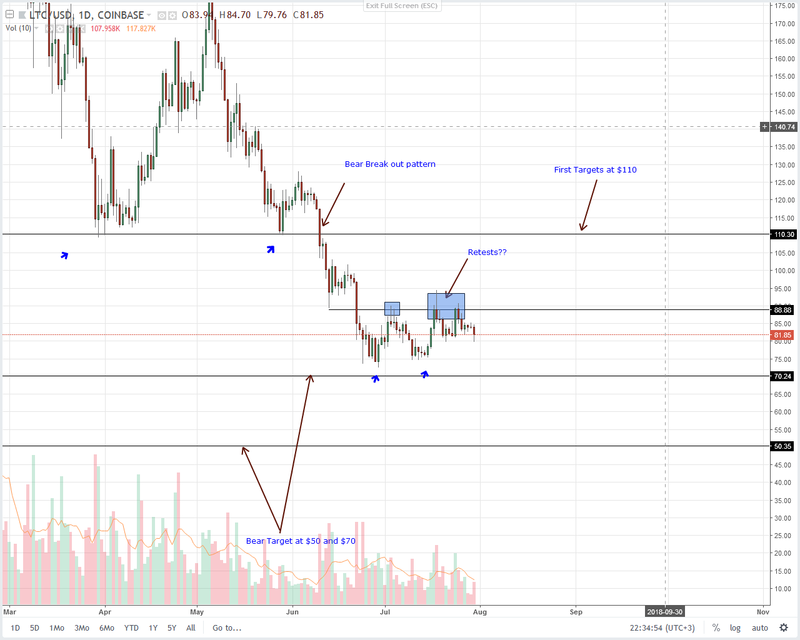 Overall first targets in both cases are at $110 and $50 respectively. Overly we are net bullish on Stellar Lumens and holding on to our previous Stellar Lumens (XLM) trade plan. Regardless, I recommend buyers to exit their XLM longs and wait for proper entries at around 22 cents. 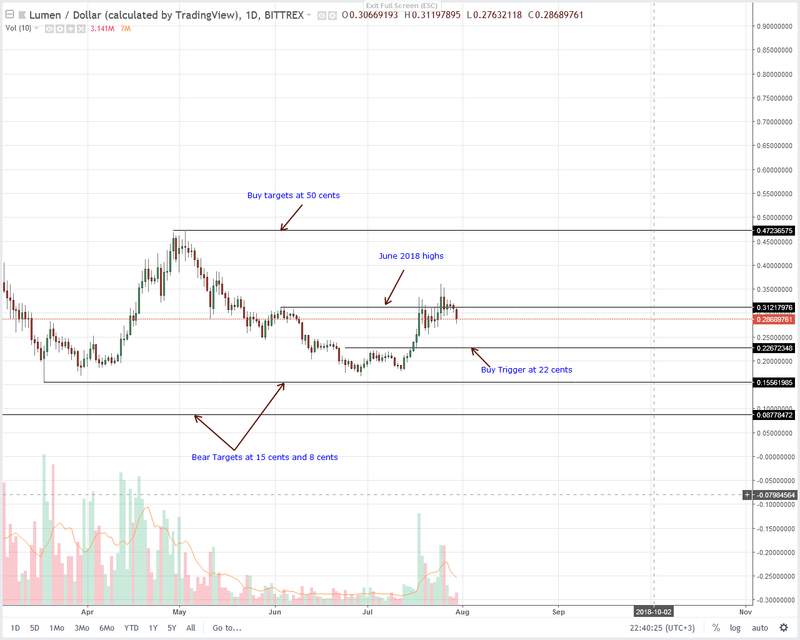 Even though prices are rejecting higher highs, aggressive XLM traders can begin selling at current spot prices with stops above July 30 highs at 32 cents. Because of the general bear pressure, first targets would be the break out level at 22 cents. 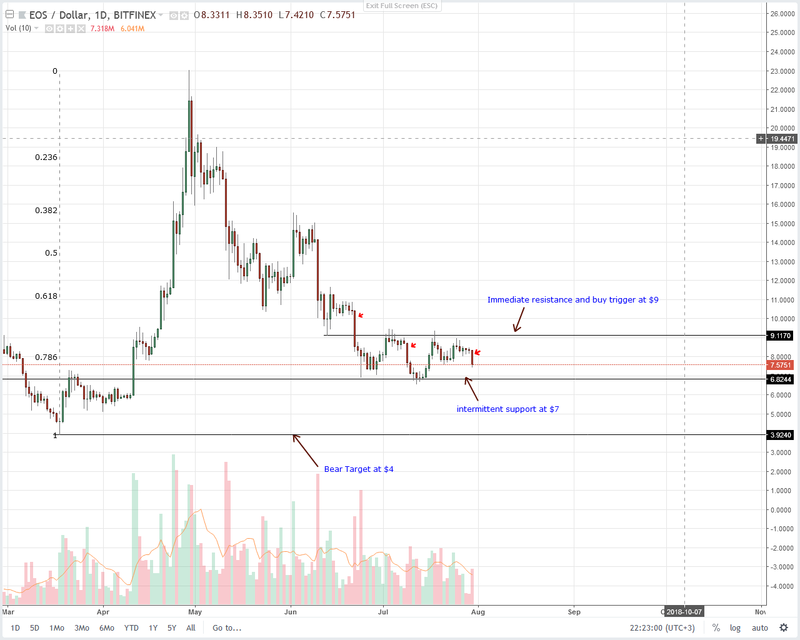 On the other hand, bear pressure driving prices below 20 cents or June 2018 lows will effectively cancel our initial Stellar Lumens (XLM) buy projection. The eagerly awaited secret project is Atlas. 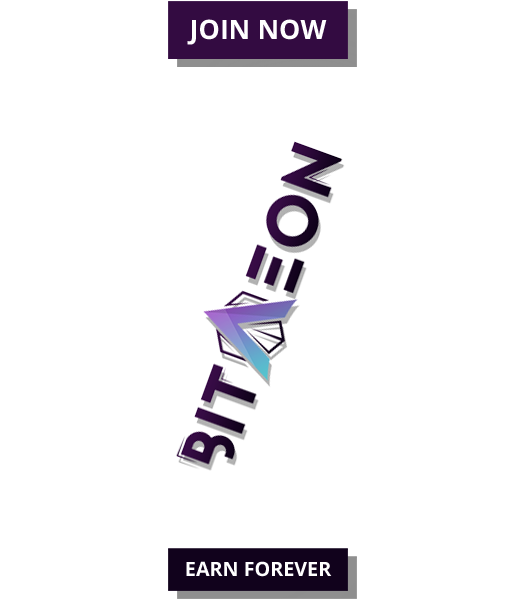 It’s a merger of BitTorrent and Tron protocol with the aim of making BitTorrent faster, competitive and integrating it within the Tron ecosystem. The secret project wasn’t received well and with seven percent dip, our stops were triggered. From a technical perspective, this rejection happened right at 4 cents-our immediate resistance line as laid out in past Tron (TRX) technical analysis. Because of this, odds are sellers are back and syncing with that bear precedence set by June 10 bear candlestick. First bear target stands at 2.5 cents with stops at 4 cents though conservatives should enter when prices are trading below 3.2 cents and the lower limit of this 1 cent trade range. In our prior IOTA analysis, we had recommended aggressive, risk off traders to initiate longs with stops right at 90 cents. However, considering these series of lower lows and failure of buyers to edge past $1.3 or even July highs, it’s likely that June 12 bears will once again emerge superior and drop past 90 cents. So, in regard to yesterday’s development, it’s better to revert back to neutral and wait for break out in either direction before trading. Should IOTA sellers drive prices below 90 cents then we suggest liquidating IOTA with first targets at 65 cents. Conversely, any breach and close above July high will set the trend for possible retest of 2.5 cents in line with our last IOTA trade plan.